Dr. Norris joined the Mt. San Rafael Hospital team in 2017, and serves as a family medicine physician in our Rural Health Clinic. 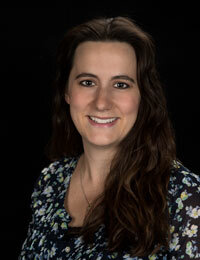 Dr. Norris received her bachelor's degree in biomedical sciences from Colorado State University in Fort Collins. She received her medical degree from Oklahoma State University, College of Osteopathic Medicine in Tulsa. Dr. Norris completed her residency at St. Anthony Hospital in Oklahoma City. Dr. Norris is board certified in family medicine and osteopathic manipulative treatment. Dr. Norris believes in the biopsychosocial-spiritual model of medicine, meaning that if one component is off-kilter, everything else is affected. She works with her patients to achieve health of the whole person. She uses evidence-based medicine, but also discusses safe alternative regimens. Dr. Norris is a firm believer that excellent communication with all members of the care team is key to patient-centered care and she wants her patients to leave each encounter feeling clear on everything that was discussed. Dr. Norris grew up in Trinidad and is thrilled to be home. She loves the scenery, pace, warmth and friendliness of Trinidad and enjoys getting out and supporting the local businesses and events. She also enjoys reading and going on adventures with her husband, Jeremy, and their three children.